restoring the natural balance of the land..
Our aim in serving as stewards for this sacred land is to restore the natural ecological balance of native species, removing invasive species that threaten their survival, and supporting the regeneration of endemic flora and fauna. to allow natural grasses to spring back to life, creating vibrant, natural habitat. Making space for endemic species. The central grounds prior to restoration efforts - Cane Grasses and other invasive species choking out natural grasses. The land after clearing and restoration, returning to natural balance. 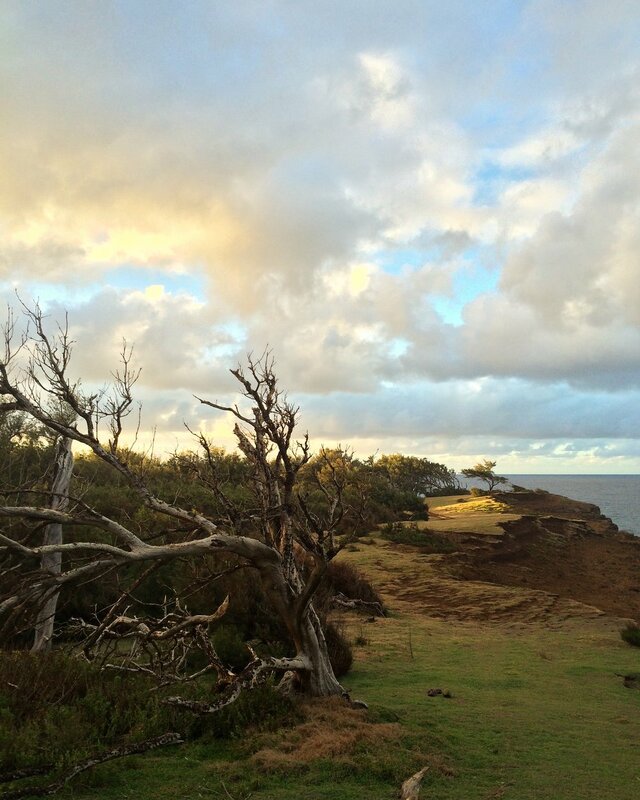 Our restorations efforts have made the seven miles of pristine nature trails that connect into the Kohala coastline trail system more accessible. Enjoy this network of paths, overlooks, and remote beachfronts during your stay at Inhabit. Walk mindfully in a network of private trails.